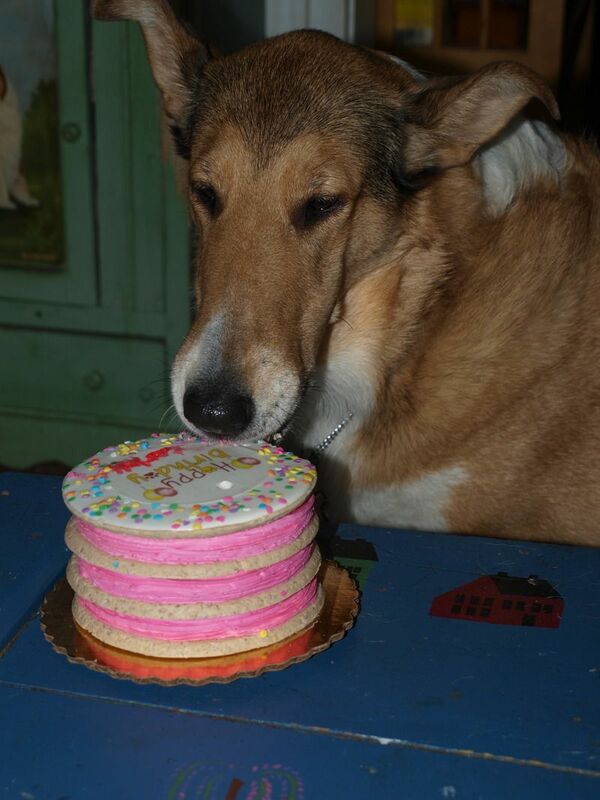 All things Collie: Happy Birthday! She was nice and shared! Happy Birthday, Scarlett! 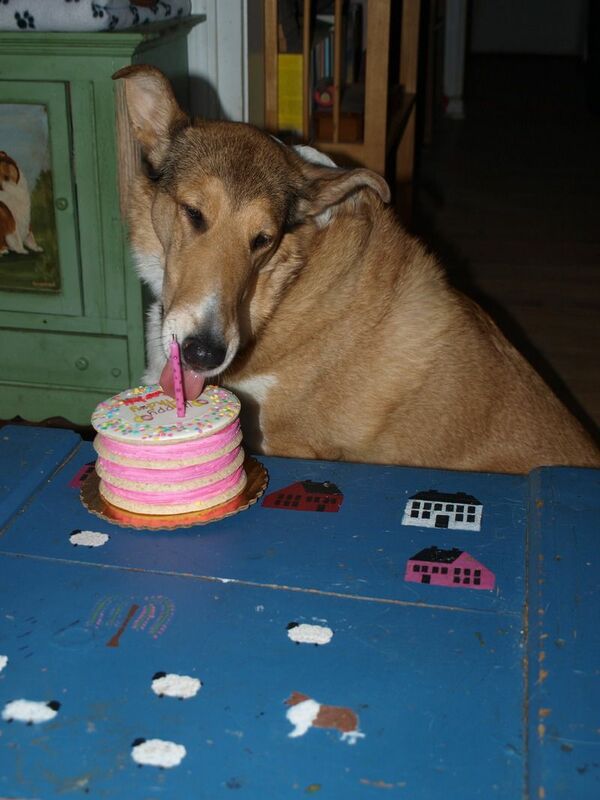 I love your cake! Happy Birthday! What an awesome cake! 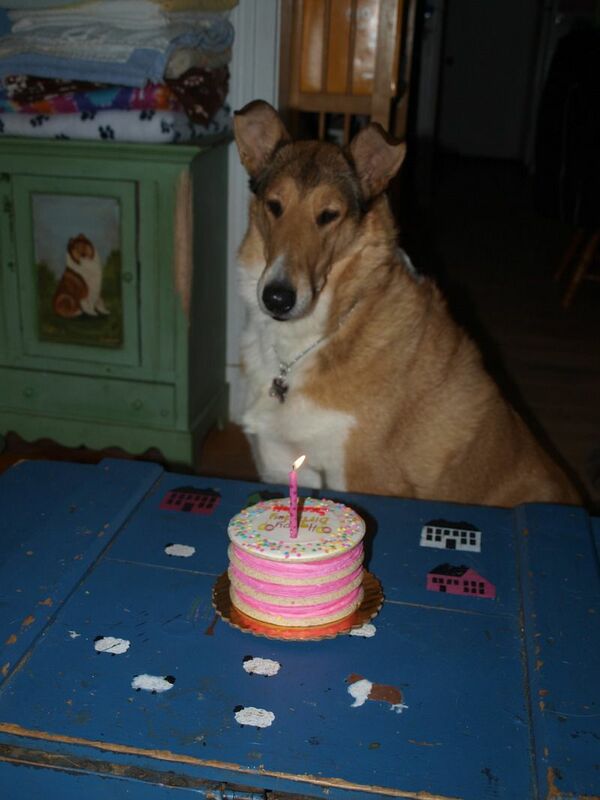 Happy barkday, Scarlett! It was sure nice of you to share your cake. HAPPY HAPPY BIRFDAY to you Miss Scarlett... that is (or should we say... WAS) a very BEAUTIFUL Cake. 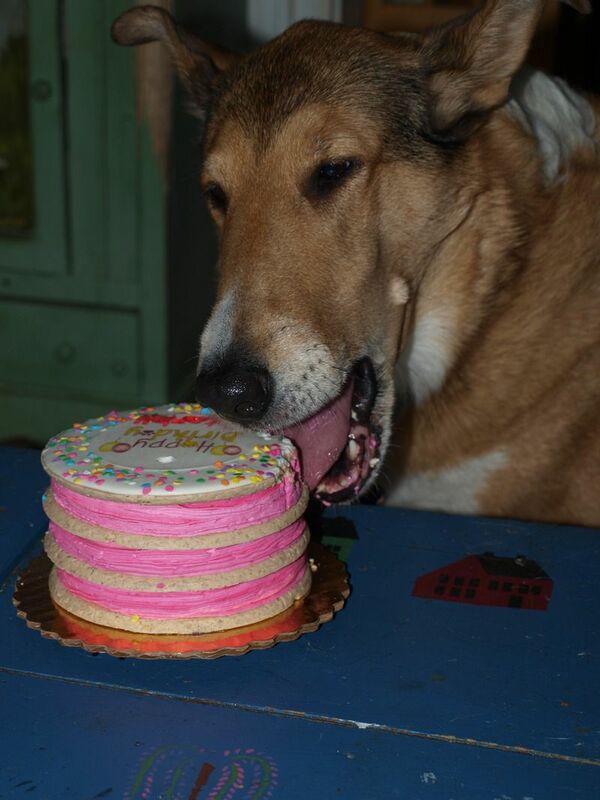 Celebrate your special day like a PAWfessional. Happy Birthday. 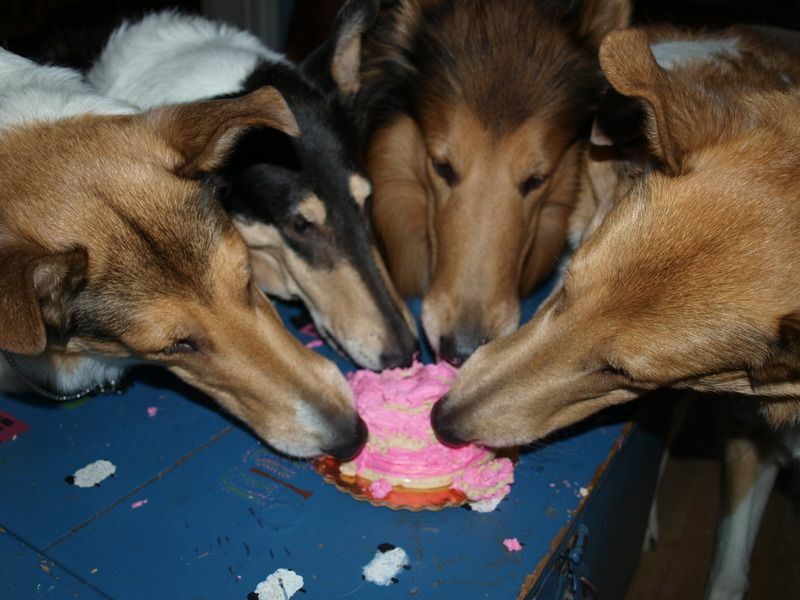 Looks like everyone enjoyed the cake. Great sharing! That cake is a beauty. I mean - WAS a beauty! Yum! 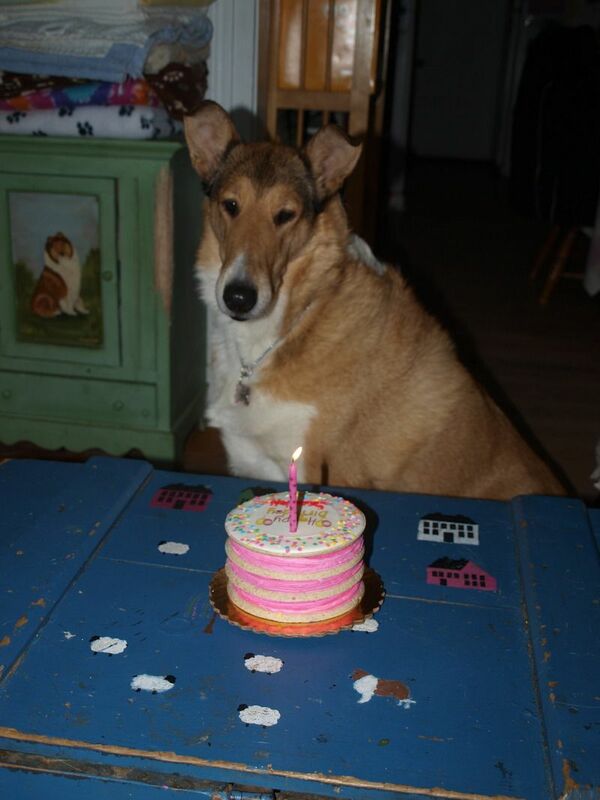 Happy Belated Birthday, Miss Scarlett! You look beautiful! Hope you enjoyed your special cake!